As my children are getting older and we spend more time discussing and researching current events, I relaize how easy it is to let our children's education lag behind what is happening in the real world. While keeping education current and relevant is not a problem exclusive to homeschooling, I am grateful that as homeschooers we have the ability to quickly and efficiently adapt our curriculums and other activities to the changing times without massive amounts of time spent at board meetings, debates and reading white papers on the subject. 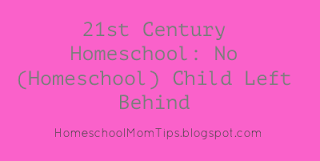 I will be writing a series of posts highlighting new topics of study and new approaches to old topics that I think will be helpful as we seek to raise up a new generation of Christian homeschool graduates who will make a difference in their world, which in many ways will not be the same as the world that I grew up experiencing. Some of the developments are very exciting with great promise for the people of God and others may seem more troubling. Either way, God has put each and every one of us here in this time period for His honor and glory. He has appointed long ago the works that we will do during our lifetimes. It is exciting to prepare our children to be all that God would have them to be "for such a time as this." 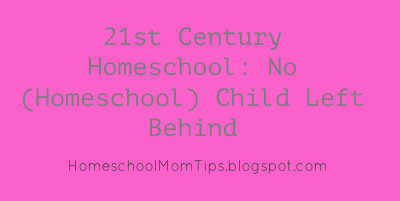 This post is the first in a series on 21st Century Homeschooling.